One morning in early August, two humanities majors with very limited knowledge of computers found themselves working furiously on a computer program that involves coding and data analysis—how did this happen? Will O’Neal ’20 and Mari Odoy ’20. We are both very much humanities-oriented students. We are literature majors with more interest in reading a text closely than working with quantitative data. Working with Professor Dima Ayoub on her Arabic paratexts project this summer, however, we brought together data analysis and literary analysis in a way that cuts across the supposed divisions between traditional humanities and cutting-edge digital technologies. Working with Dr. Dima Ayoub and funded by the DLA, we helped to develop a database of every Arabic novel translated into English from 1970 to the present. Professor Ayoub’s goal is to run computational analyses of trends within the paratexts of these translations; that is, anything that is not the text of the translation itself. Paratexts include introductions, glossaries, footnotes, prefaces, forewords, and dedications. These little studied aspects of a translated text turn out to contain information that begs to be digitized and analyzed for undetected patterns that a computer can discern better than a human since they exist at a large scale. The project digitizes and creates a standardized database of the paratexts within Arabic translations. We use this dataset to explore important hypotheses about Arabic-English translation. 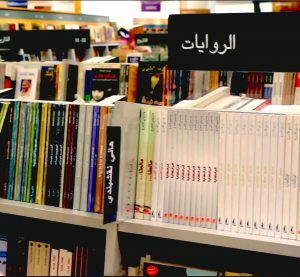 The experience of combining digital and literary approaches allowed us to connect literature to broader social and political issues; Arabic translation into English is incredibly politically influenced, and many texts are botched and altered to fit Western stereotypes and misconceptions of the Arab world. By quantifying the ways these Arabic works are altered in English translation, we were able to gain a complex picture of the relationship between these two languages and cultures. Professor Dima Ayoub already suspects that the digital approach will yield surprising results and revise understandings of Arabic-to-English translation in both scholarly and larger public domains. For us as students, compiling and analyzing the paratexts as data also greatly contributed to our understanding of questions we are studying as Comparative Literature majors. We cannot tell a lie: the data input process could be slow going at times, but it was worth it since the project felt important to us because of how it linked questions of literature and politics in the humanities to digital tactics of investigation. It was truly the perfect blend of hard and soft disciplines. For instance, we were very invested in making the dataset holistic: we supplemented the data with interviews with translators and publishers, whom we spoke with on the phone or met in person. We truly saw all sides of the translation process, and thus we could better understand our data and its humanistic significance. At times the experience was challenging—we had to push ourselves past our comfort zones with both computer programs and the Arabic language—and that challenge was one of most valuable parts of the experience. By entering unknown technological territory, we were able to make mistakes, but with the mentorship of Dr. Dima Ayoub—and some timely assistance from Data Services Librarian Ryan Clement and DLA Acting Director Michael Kramer—we succeeded in the end and we were able to analyze literature in a unique, almost avant-garde fashion while also expanding our knowledge of analysis methods and ways to think about the humanities. 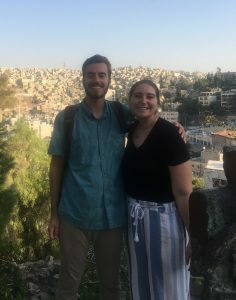 On a more immediate level, conducting online research in Arabic for this project helped prepare us for our next semester, in which we will be studying abroad in Amman, Jordan; reading about literature on Arabic websites increased our language skills and enriched our sense of cultural understanding going into our study abroad experiences. The interdisciplinary nature of this project necessarily broadened our understandings of what the humanities are and why they are important. A popular misconception of the humanities is that it is a so-called soft area of academia, in which people just read a lot and gain no practical knowledge or skills. We found this not to be the case at all. The humanities can tell us a lot about our world and the ways we think about it; it can help us understand how others think about the world; and the humanities let us think about all of this on a deeper and more humane level. As we saw in our project, the humanities, and specifically literature, are a powerful tool for analyzing social issues. Adding computational approaches to data analysis, we were able to undertake holistic and meaningful large-scale analysis. This is the power of digital humanities. Editor’s Note: Hear Dima Ayoub discuss the overarching project at a DLA Behind the Scenes event—Glossing the Glossary, Digital Approaches to Paratexts and Power in Arabic Literature—later this fall 2018.